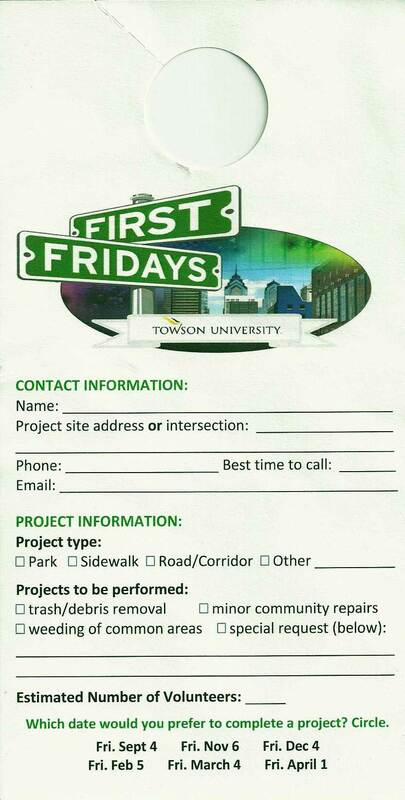 First Fridays in the Neighborhood is Towson Universityâ€™s monthly community clean up service day where we give back to the Towson communities that border the campus. 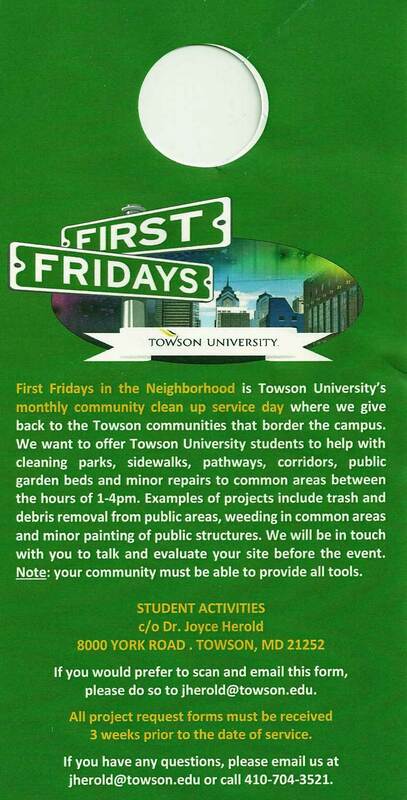 We want to offer Towson University students to help with cleaning parks, sidewalks, pathways, corridors, public garden beds and minor repairs to common areas. 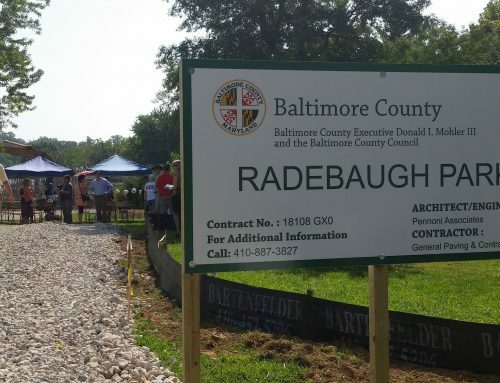 Examples of projects include trash and debris removal from public areas, weeding in common areas and minor painting of public structures. We will be in touch with you to talk and evaluate your site before the event. Note: your community must be able to provide all tools. 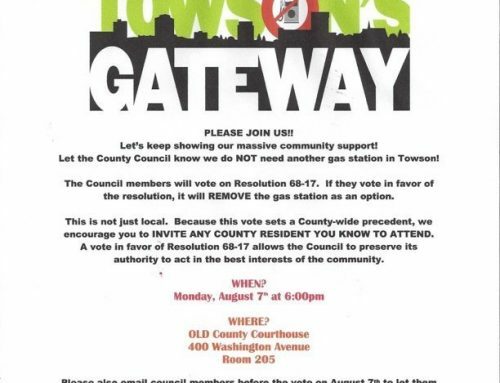 If you would prefer to email this form, please do so to jherold@towson.edu. All project request forms must be received 3 weeks prior to the date of service. If you have any questions, please email us at jherold@towson.edu or call 410-704-3521.